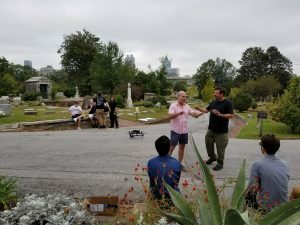 Oakland Cemetery is an Atlanta landmark, and it has been one of my favorite places in the city since my mom took me there as a child. 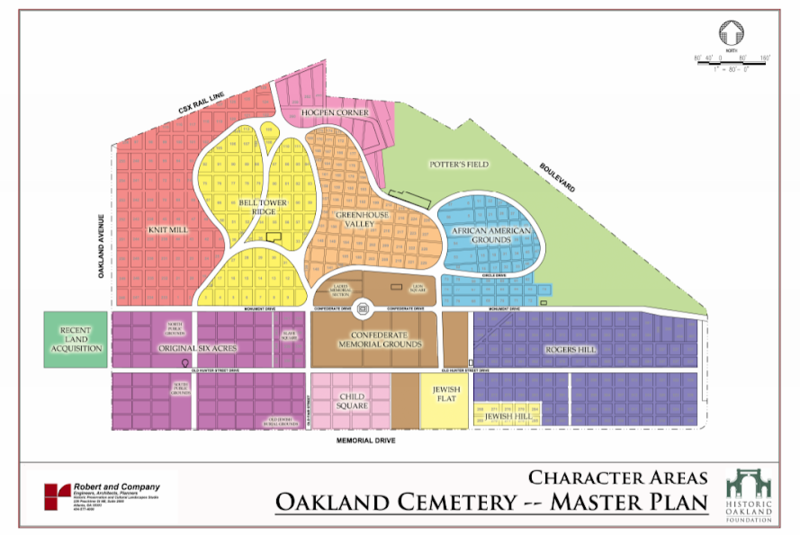 Founded during the Victorian Rural Garden era of cemetery styling in 1850, Oakland features walking paths through shade trees and exotic plants covering graves and surrounding mausoleums from the last century and a half. It is a beautiful, tranquil, and quiet green-space in Atlanta that houses some of the famous Atlanta residents throughout history, including many mayors, governors, the writer Margaret Mitchell, and many more names that inspired counties, parks, and institutions Out of the approximately 70,000 graves, there are also some incredible examples of Gothic and Victorian architecture in the form of some of the mausoleums of former prominent Atlantans. 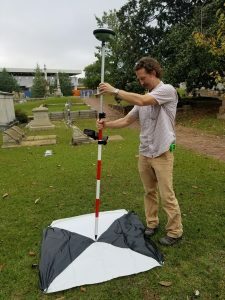 A collaboration between Georgia State University, Emory University, and the visualization company Beam Imagination aims to create a 3D reconstruction of the site using LiDAR, laser scanning, photogrammetry, and 3D modeling. Starting with GIS maps, the initial goals of the site visits for the remainder of 2017 is to determine the best equipment and workflow for gathering the data to make this model. Once we have the data, we can reconstruct a VR environment, digital assets that can be viewed separately, or visualizations that can be viewed for any 360 degree presentation. 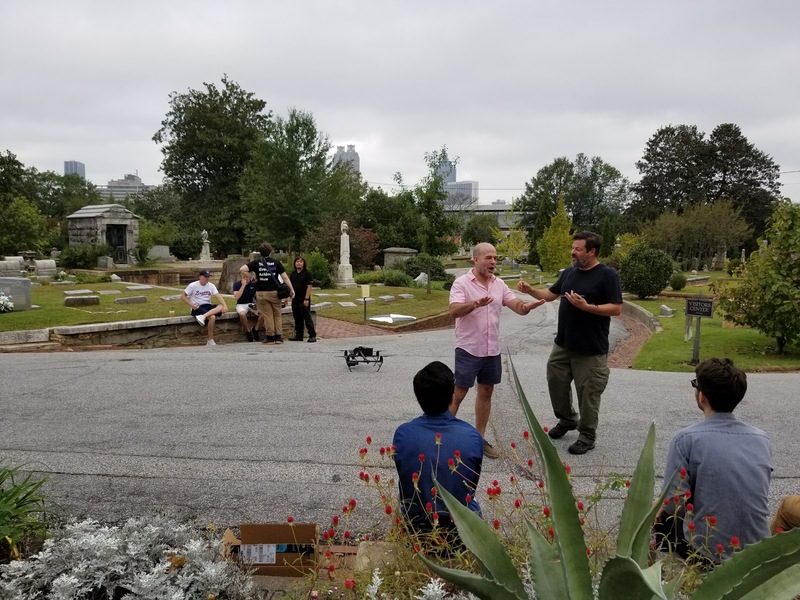 (Right) SIF students waiting from drone launch with representatives from GSU, Emory, and BEAM Imagination, including BEAM’s drone. 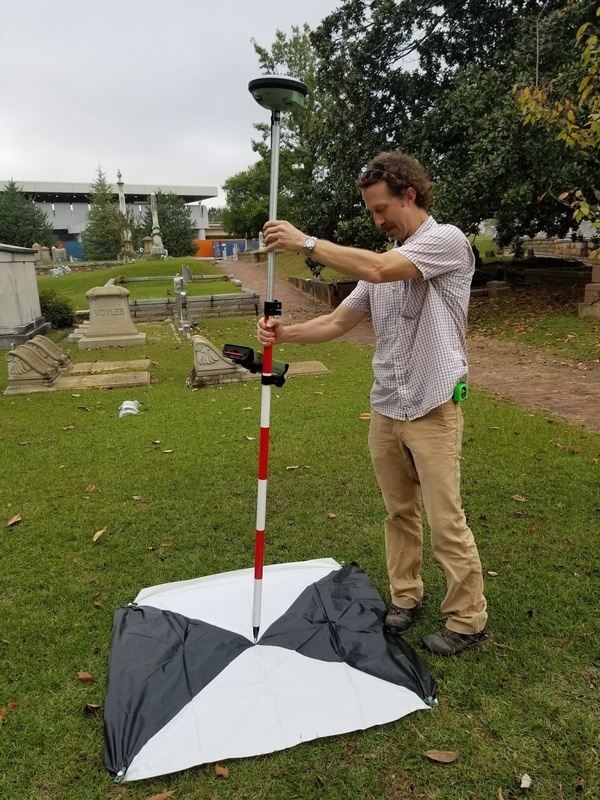 The first step was to test drone data collection using a small test area of the very large cemetery. We chose the northwest corner of the site, including parts of Knit Mill and Bell Tower Ridge. This area has extensive tree coverage, green space, and a variety of challenges for air-based data collection that are well representative of the total site. As the drone ran its automated path over this area, large visible markers were set up at corners and open spaces throughout the data-collection area where GPS points were taken to help in the georeferencing of the drone data. Georeferencing is essential to any mapping project, as it allows for the smaller map to fit into a larger spatial context. It also allows for other forms of quantitative assessment to take place, such as accurate distance and size measurements. 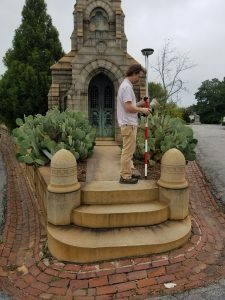 While there, with the equipment already set up, we took GPS locational points for some of the more prominent mausoleums and features for the future mapping of the site. (Above) Dr. Jeffrey Glover (GSU) taking GPS measurement at marker for drone georeferencing, and (Right)Dr. Jeffrey Glover taking GPS points at the famous Richards mausoleum. The next phases of this work have already begun with attempts to digitize the gravestones and statues in the Jewish Flats section, which is the most spatially constricted area in the cemetery, allowing less than 2 feet between gravestones. This provides an interesting problem for modeling the individual graves as laser scanning and photogrammetry has problems separating obscured data as discrete objects. BEAM has been wonderful in helping us out with equipment and expertise, and I am excited to see this project as it grows!